The undersigned do hereby petition the Home Office to deny granting Mr. Thaksin Shinawatra political asylum. We would like to highlight his crimes against Thai people and humanity in the hope that the Home Office will take them into your consideration as follows. 1. Human Right Abuse: Mr. Shinawatra has been described by Human Right Watch as "a human rights abuser of the worst kind" as he was involved in at least 85 deaths in the Tak Bai incident and 2500 extrajudicial killings, over half of which were later found innocent, in his violent campaign against drugs in 2003. 2. Corruption: Three cases of corruption against Mr. Shinawatra, including dishonest £10m Ratchadaphisek land deal, unlawful management of the national lottery money and a £80m low-interest governmental loan to Myanmar in exchange for satellite services and equipment order from his own communication company, have been filed with the criminal court so far. Several other cases of alleged corruption and abuse of power are in the investigation process and will appear in the court soon. 3. Tax evasion: Mr. Shinawatra’s wife, Pojaman, has been convicted of tax evasion worth £7m and was sentenced to 3 years in jail. Also, his son and daughter have been found guilty of tax evasion in the Shin Corp-Temasek deal, the biggest share transaction in the history of Thailand, worth £1billion without paying a penny of tax. 4. Accusation of Thai judicial system: On August, 11th, Mr. Shinawatra claimed that he and his family received unfair treatment in Thailand’s judicial system. Nevertheless, in contrast to his call for a fair and open trial, three lawyers representing Mr. Shinawatra were sentenced to six months in jail in an attempted court bribery using “a snack box” containing £25k money in July 2008. As described above, the charges against Mr. Shinawatra are clearly not politically motivated as he is attempting to claim. Thus we, the undersigned, would like to urge the Home Office to reject Mr. Shinawatra's application and to extradite him to Thailand for criminal trials if requested by Thai authorities. Some thai people who not agree with US in case of Thaksin shinnawatra may be get bomb on london !! Or may be some thai police will do it as you seen in Thailand 2008-10-07 in London and tell it form thai mob !! Most Thai people don't like bomb but not at all. No once garantee for US people in London. Your home and people might be risk with your hand !!! All just may be you can try it. ps. 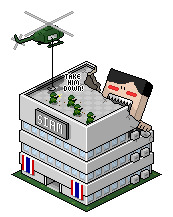 Mr.Shinawatra use to said "Have a thai millionaire with out of law business co to kill him.